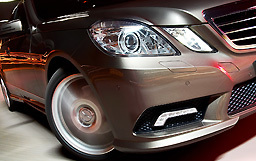 We are able to repair any type of damage and make your car look brand new again ! We will help find vehicles if you are looking and offer vehicle sales. Bring in previous estimates & we will beat the price by 10-15 %, we are extremely competitively priced. We offer a 24hr. warranty on newly painted vehicles and towing. To provide efficient and reliable service to clients while demonstrating safe and responsible practices for a diversified, ever changing industrial environmental. We take pride in providing only the absolute highest quality of service available in the industry and we guarantee all of our work. Our paint & body technicians have years of experience. We work closely with your insurance company to get the job done right. By law you have the right to choose the body shop of your choice. Exercise your right; make ASC auto body. the shop of your choice! We specialize in all makes and models of cars and motorcycles. We can save you money on insurance claims and pay up to $500 of your deductible. We also offer pre-apprenticeship training and co-op programs. We are registered with Ontario Motor Vehicle Industry Council (OMVIC).